Let There Be Power - Turnkey Sacrificial Cathodic Protection Solution | Matcor, Inc.
Our cathodic protection services team was requested to perform a turnkey upgrade to an existing sacrificial Cathodic Protection system for a coal burning energy facility. The facilities covered by sacrificial cathodic protection included the plant piping, the above ground storage tanks, fire water system, two condenser units and twenty-one well casings. The plant needed a cathodic protection services company to deliver a timely solution that would last, provide low cost of ownership and peace of mind about the facility integrity and safety. MATCOR’s on-site technicians made the recommendations to replace units or repair those that could have the service life extended. MATCOR engineers assisted with the preparation of sacrificial Cathodic Protection specifications that the client will use on all future cathodic protection work. 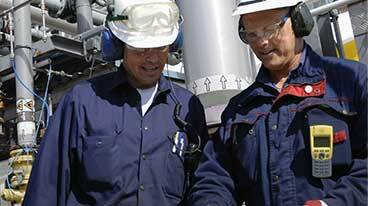 MATCOR was awarded this project because of our ability to provide a turnkey solution. 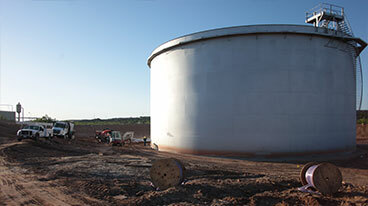 MATCOR’s SPL Linear Anode was utilized to protect five above ground storage tanks. In addition, numerous Durammo® Deep Anode Systems were installed in precise strategic locations throughout the plant to protect the plant piping, well casings and other infrastructure. These are just a few of the many MATCOR products utilized on this significant project. MATCOR provided services to the client that required full knowledge of cathodic protection theory and installation; and gave the client trust along with peace of mind. The project was executed autonomously allowing the client to focus on providing electric service to the citizens of the local community.